Do you feel healthy? Do you have energy crashes during the day, difficulty sleeping at night, problems concentrating when you work? Are you able to wake up refreshed without stimulants, play sports pain free, or eat a meal without getting bloated? Do you enjoy a healthy level of intimacy with your spouse? Being healthy means all of those things, and certain signs and symptoms that your body gives you are hints of how youthful you are and how quickly you are aging. They can tell you if you’re developing heart disease, are predisposed to cancer or are at risk of dementia. Luckily, not only can you prevent aging early for yourself, you can increase the genetic robustness you pass on to your children. 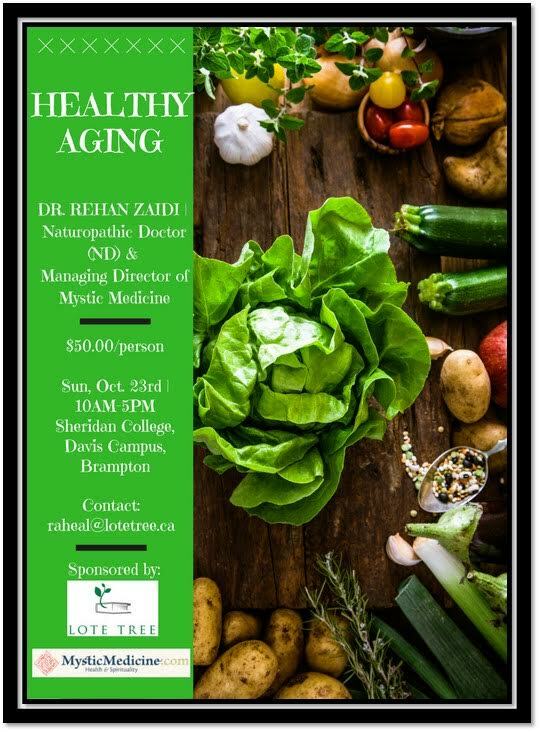 Come out on Sunday, October 23rd to get practical tips on how to monitor your health and curb illness before it starts, or cure it before it gets worse. Special practical healthy cooking hacks and postural improvement workshop demos will be conducted as well. Registration: Please pre-register at https://goo.gl/forms/nk70G5BvkCDb552l2 . Payment will be collected onsite.